The head coach of the Italian men’s volleyball national team Gianlorenzo Blengini was disappointed after the game vs. Poland. That’s is understandable as Italy didn’t manage to reach the semifinals. "Of course we did not come here for a fifth place. Truth is, only four teams go to the semis and we did not prove strong enough to get there," says Blengini. "We carry the Azzurro jersey with pride, we know its weight, and we are sad that we disappointed the Italian people with this elimination. 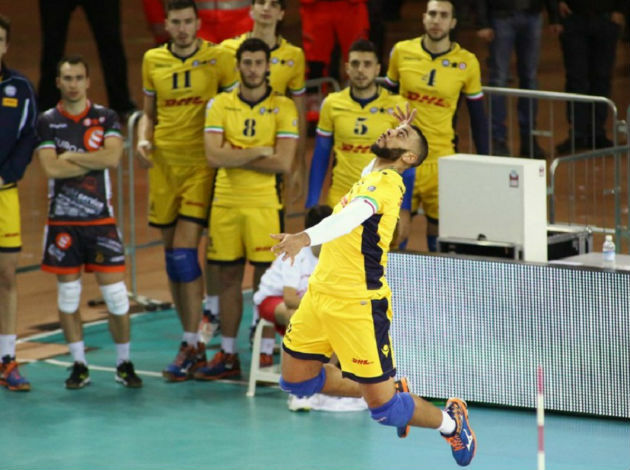 But we will be back soon and restart from the bottom, with a different finale in mind," says Simone Giannelli. "The momentum of the match changed early, when Bartosz Kurek hit two aces and transformed a 3-3 into 7-3. There I understood we were stronger than Italy and that we would go to the next round," says Vital Heynen, head coach of Poland.